The question of whether to upgrade the classic Lumia 1020 (as beloved by a surprising fraction of AAWP readers) to Windows 10 Mobile has been extraordinarily thorny. I've put my 1020 onto the Insiders programme three times in the last eight months and three times I've ended up reverting to Windows Phone 8.1. Yes, with all the set-up and messing around that this involves. You see, the resources needed by W10M are just too much for the 1020's older dual core S4 processor. And ditto for many other classics, not least the 920 and 925. Yes, yes, I know I said Windows 10 Mobile is the future (for Windows Phone fans). And it is, at least for anything with a x00-series Snapdragon processor (and also with 1GB of RAM or more). But there are a whole heap of devices which simply shouldn't make the cut. I'll come back to this in a few days, but for now I want to talk Lumia 1020, the 2013 beloved camera champion that's still unique in various ways, even in 2016. Xenon flash, 3x lossless zoom, 1/1.5" BSI sensor etc. And it's also THE most used device across the whole AAWP readership. It's also a personal favourite. Which is why I've been trying so hard to get it onto the next 'rung', the next generation of the OS. Via the Insiders programme, I've tried it three times now, most recently for a week with Build 10586.107, and I've been very disappointed. The first two times the 1020 was tried on W10M, my thought was 'Oh, Microsoft just hasn't got round to optimising the OS for the older S4 processors yet, it'll get smoother and better.' Yet we're now VERY close (within a week or so) of the first over-the-air rollouts of Windows 10 Mobile, the first Redstone (true next-gen) builds are available for the native W10M devices, and I simply don't believe that Microsoft will do anything to improve things at a low enough level for these older chips. 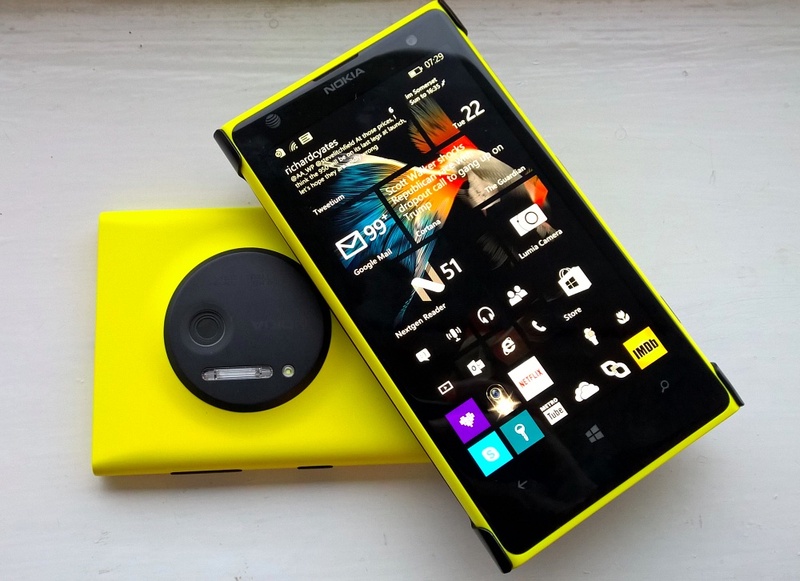 In short, for the Lumia 1020, I've given up. My own 1020 will stay on Windows Phone 8.1 for the duration of its remaining life. I'll come to how to make sure the update doesn't get pushed in due course. Unlock speed. It. Is. So. Frustrating. Press the power button on the side of the 1020. The Windows 10 lock screen background appears. I swipe up and nothing happens. I wait. A second or so later, the time and lockscreen messages appear. I swipe up again, hopefully. Nothing happens. I wait a second and try again and, at least, getting on for TEN SECONDS after I pressed the power button I have access at last. Now, I recognise that if you test all this on your own 1020 after just using the phone a few minutes ago then it'll work fine - I'm reporting what happens when the phone hasn't been used for tens of minutes - obviously something in the OS goes to sleep and takes forever to wake up on the older, slower processor. Battery life - even though drain is better on the 1020 than on the larger-batteried and newer Lumia 950 and 950 XL, it's still not good enough, the OS drains power in standby such that most capacity is used up just keeping the phone going in standby mode through a long day, let alone using it. Under Windows Phone 8.1, battery life is just fine and I get through a long day without too much issue. Standby drain is of the order of 3%/hour. compared to 6 to 7%/hour under Windows 10 Mobile. Lumia Camera and Windows 10 Photos don’t play that well together. After reframing an image (one of the core USPs of the 1020, you may remember, with the dual capture at 5MP/38MP), the image shown on-screen in Photos is always the previous, pre-reframe image, and I always have to go back to the 'thumbnail' view, wait for refresh and then step forwards again. In short, it's a pain. Outlook Mail seems very flaky on the older chipset. Compose an email with a bunch of image attachments and then watch it send and yet still hang around in the 'Outbox'. Did it send or not? I still had multiple messages in my Outbox, 24 hours after successfully sending them (I know, because I asked the recipient!). Word flow still isn't fast enough for smooth interaction under W10M with the older processor. It's quicker to just tap away in the old fashioned way, which is a shame. Windows 10 Maps and its UI is optimised for 5”+ screens - this is me being picky, but on a 4.5" screen some of the fonts are very hard to make out when driving. In addition, the traffic support seemed flakey, possibly limited by processor power in redrawing the maps as the zoom level was changed. Glance screen doesn't support Weather. Under 8.1, a three day forecast was part of the whole Glance experience. Nothing at all under W10M, annoyingly, even at this late stage development. Glance displays often get 'stuck' in one spot on the screen. This is clearly a bug, since sometimes it works (i.e. moves around) and sometimes it doesn't. That's just the tip of the iceberg, really. After three iterations over a eight month period, my conclusion is - overwhelmingly - that the Lumia 1020 is best off with Windows Phone 8.1. Along with a number of other phones in the Lumia range, of which more in a feature later this week. 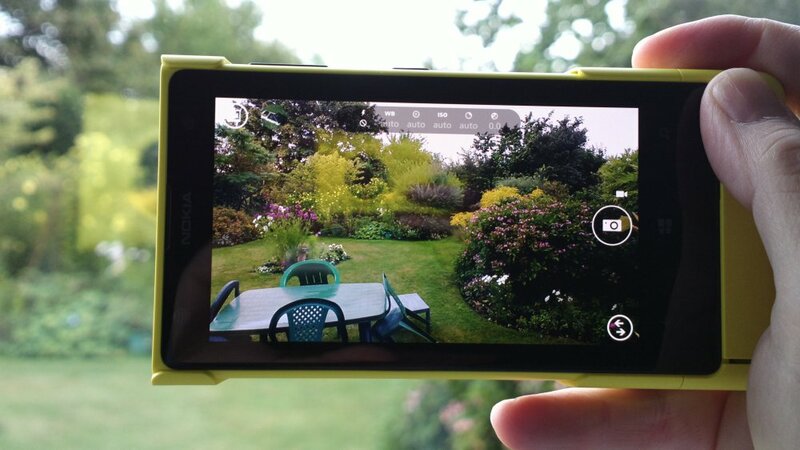 Comments welcome though - I know many others have been trying the 1020 under Windows 10 Mobile too - are my experiences, in a full 'real world loadout' setting typical of your own?